A vibroseis truck similar to this one will be on campus beginning Sept. 21 to perform a seismic survey on campus and in the towns of Ithaca and Dryden, as part of Cornell's plans to implement Earth Source Heat. Cornell University in upstate New York is taking the next step in pursuit of eliminating its carbon footprint over the next two decades. 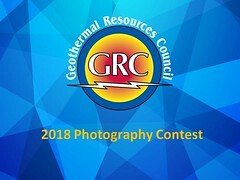 From Sept. 21-25, faculty and students from Cornell Engineering will be conducting geological characterization of rock formations under campus and adjacent land to establish baseline seismicity, as part of the university’s study of Earth Source Heat (ESH), a proposed enhanced geothermal system to heat the Ithaca campus. As part of its goal of achieving carbon neutrality by 2035, Cornell is exploring ESH as a way to reduce its energy footprint – just as Lake Source Cooling eliminated the use of refrigerants to cool campus, reducing reliance on fossil fuels, keeping more than 10,000 metric tons of CO2 from entering the atmosphere annually, and cutting energy costs by 86 percent.